In early 2018, the Swiss holographic AR technology company WayRay announced its upcoming True AR SDK and called on developers and designers worldwide to compete in the ensuing True AR Challenge. 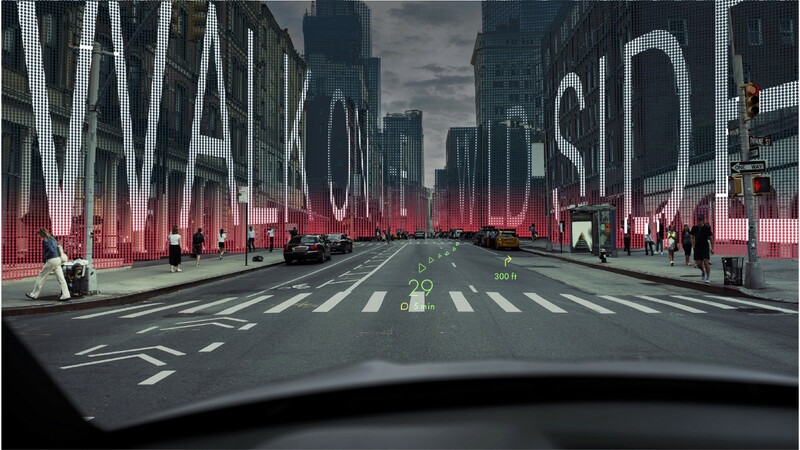 The idea of the contest was to encourage an active community of engineers, developers, and designers to build smart AR solutions for conventional vehicles and self-driving cars. Now that the 30 finalists have been officially announced, WayRay and its partners are celebrating the successful outcome of the competition. 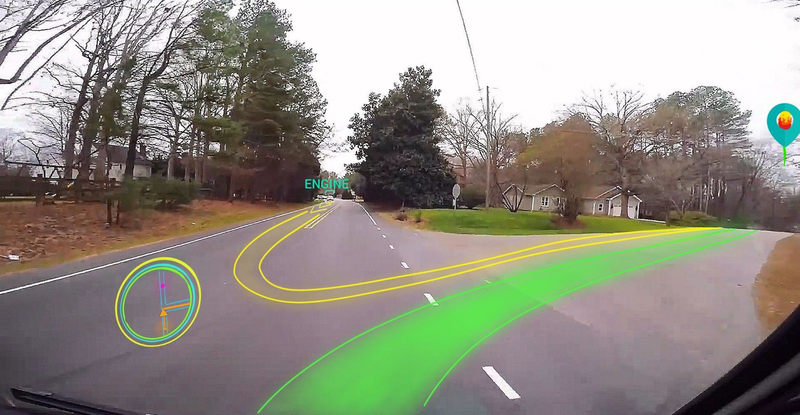 Over the course of the four-month Challenge, dozens of AR enthusiasts from 23 countries shared their ideas for AR apps to help make the driving experience more secure, fun, convenient, and infotaining. The most innovative, creative, and visually appealing projects will soon turn into a set of tasks for the onsite True AR Hackathon — the offline phase, where developers and designers will be creating AR app prototypes using the brand-new True AR SDK. There are some really inspiring, great new ideas and I can’t wait to see them growing during the Hackathon. Being selected amongst the winners of the True AR Challenge by such an experienced and scrupulous panel of judges is indeed an impressive achievement. The 30 selected finalists — 5 Winners, 10 First Runners-up, and 15 Second Runners-up — will soon receive their cash prizes of $5,000, $3,000, and $2,000 respectively. 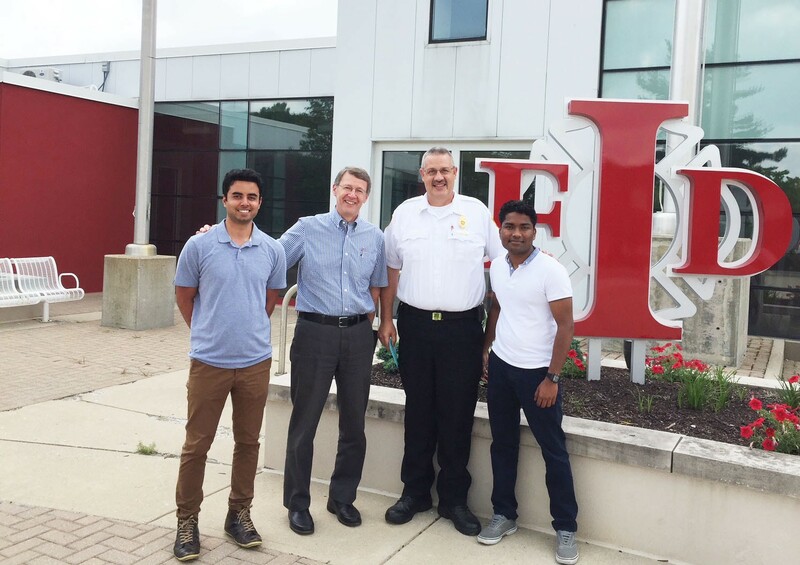 Among the five winners is the US-based team IUPUI-HCI, who came up with an AR app for fire emergency vehicles called Fire Ray. “Our idea encompassed use cases that help firefighters avoid collisions with other responding units on the road, easily locate fire hydrants, visually assess water pressure, and coordinate with other emergency units seamlessly,” explains Pruthviraj, the team lead. The group partnered with fire departments in Indianapolis and Carmel, Indiana to revolutionize the way fire and rescue operations are undertaken and eventually help save more lives. 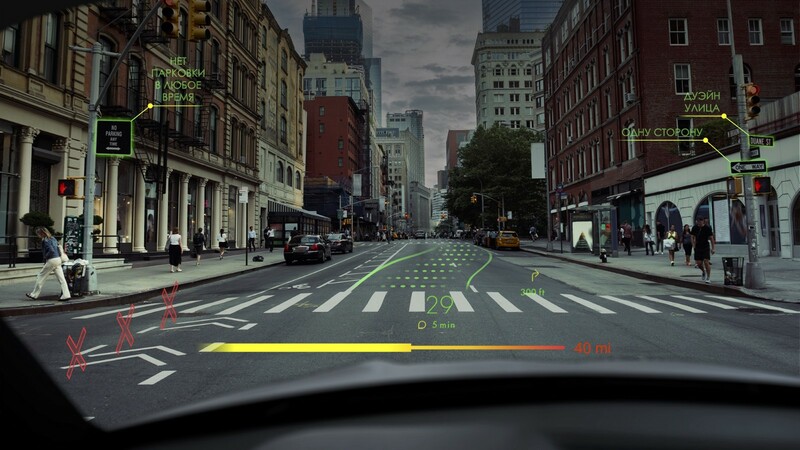 According to the plan, the Fire Ray app will be free for download and use the existing technology of WayRay’s hardware and software to provide instructions and route information via WayRay’s holographic AR display. Growing up in Los Angeles, near the busiest shipping port in the US, we experience many of the challenges of the shipping and trucking industries firsthand. 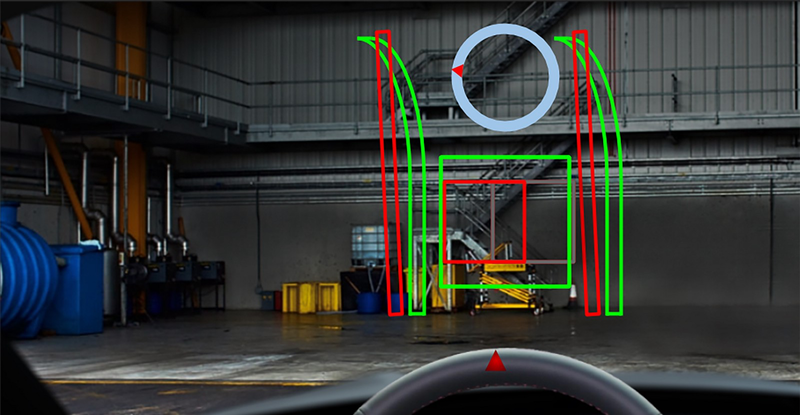 Through the use of a vision system and AR display, we believe we can enable each truck to maneuver more quickly and accurately. Brian and his teammate Emily understand that no single process or technology is enough to allow the Port of Los Angeles to reach its environmental objectives for reducing pollution and traffic. However, they hope that an AR truck maneuvering application can offer considerable improvement. Aiming to solve the pressing issue of routing in another industry — agriculture — Vadim Zubov single-handedly came up with the Advanced Farming Assistant. The Russian-based programmer proposed the idea of an AR app that uses WayRay’s holographic AR display installed in agricultural vehicles to mark out cultivated areas when sowing or applying pesticides. The innovative system is expected to revolutionize current market add-on solutions and help tractor drivers increase the accuracy of their field treatments. Essentially, our focus was to create something that we, ourselves, would love to use. All in all, it took us around 15 hours of brainstorming and 5 hours to create our final solution. To maintain a continuous revenue stream that will cover translation services, Team Siya hopes to publish the app with a $1 monthly subscription. For drivers and passengers who do not speak the native language of the location they are in, the TranslateMe app can be a lifesaver. For those who are good at languages and enjoy visiting new places, Hannah Allawi from the University of Calgary proposed the AR app idea called ARchive. The PhD student and Second Runner-up found inspiration in her research that explores the use of AR technology in learning about the lost architecture of the city of Abu Dhabi. “The ARchive app provides a similar approach of experiencing architecture from inside a vehicle,” explains Hannah. “As such, the historical information of landmarks is displayed through the windshield, allowing users to learn more about the history of their city.” The free ARchive app can be used as part of the city’s smart tourism initiatives that will edutain drivers and passengers on their way from home to work and eventually benefit both city residents and visitors alike. Another compelling user experience was proposed by the German-based team Makal, who received Second Runner-up with his AR app ob la di. Yes, this one is for you, Beatlemaniacs and Carpool Karaoke fans! The application aims to fuel the emotional experience via a music visualization mode, a karaoke mode, and visual feedback from the microphone. All we need is self-driving cars to become commonplace in the next few years and then we can all safely sing at the top of our lungs. 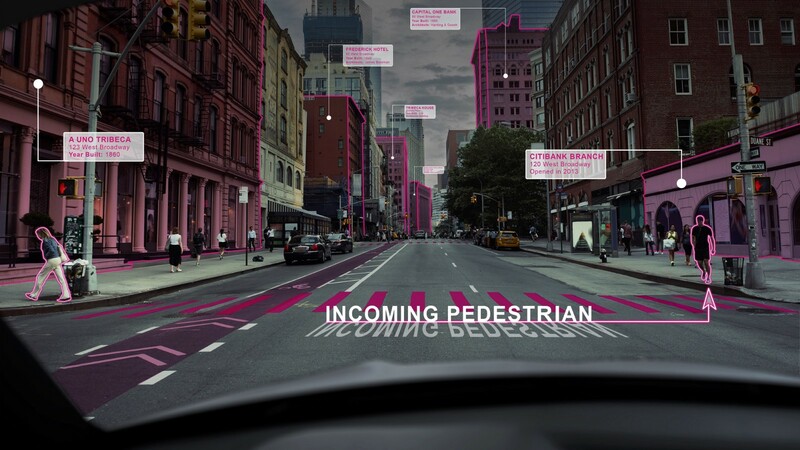 Alternatively, the ob la di app developers foresee a “human driver” mode which would reduce distractions and emphasize important driving information. The above-described AR apps comprise only a tiny fraction of the whole trove of inspirational ideas submitted to the True AR Challenge. WayRay, its partners and the international community of passionate AR developers and designers are all looking forward to the True AR SDK release this fall, the onsite Hackathon later on, and the further evolution of the winning projects. If you’re interested in the upcoming True AR SDK or want to try your hand at the onsite Hackathon, sign up for WayRay’s news, alerts, and updates here. Follow WayRay on Facebook and Twitter to stay up-to-date with all of our latest news!